Heh thanks :) I will pass the compliment along to the artists. 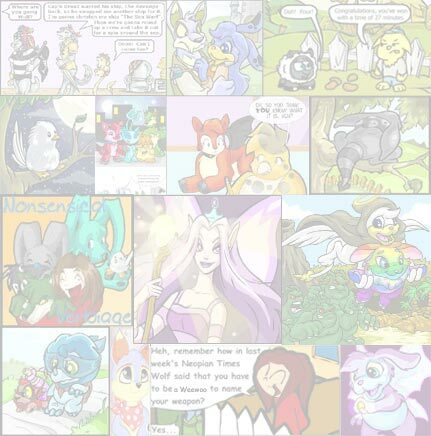 There may be a few Neopets that get a new look, nothing drastic, just a little bit of an update so they look less static. When we know what we are going to do we will let you know on New Features. Yes, Smuggler's Cove is working but the pirates only get a few little bits here and there so you have to be REALLY luck to find something on sale when you go there. we know nothing about smuggling! 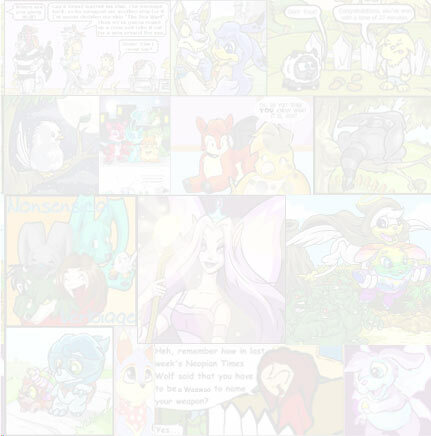 Piera is one of our monitors, you can see who works for Neopets on the About Us page. All the Usulbat plushies are like that, its part of their design. They aren't actually broken. What does the Tiki Tack Tombola guy mean when you donate NP, and he says that 'Your kindness will reflect upon you someday' or something. Is it true that if you donate money to the Tiki Tack Tombola, you will get a rare or useful item someday? Well this hasn't been proven exactly, but you never know, the Tiki Tack man could possibly hand you a winning ticket in the future. It is most definitely something that we are considering although nothing has been decided as yet. Yes, they will all be updated shortly. Does the help section get updated? If so how often? - Chow19? Yes, we add new answers into the help section from time to time, when we do a large update we mention it in New Features. When do you update the high score tables or does it automatically update itself at certain time intervals? Do neopet players get their account frozen when they reach 5 million neopoints? The Turdle is my favorite petpet but it has barely any colors that it can be painted while other pets have a ton. Can you please make more colors for it? Sure. We will get some done this week. Looking at the fun images that are available for use, I see Kougras, Meercas, Kiko...all the pets that exist. However, there are no fun images for Poogles. Why is this and will there be any coming soon? I'd love use some Poogle Images in my shop! What is the Virtuvend 2000 MAX used for? - Thetomosian? It is the Alien Aisha vending machine. Eraicko grabbed a piece of paper and a pencil from Heather's bag and asked for Jonoq to repeat the phrases. After doing so five times Eraicko had decoded it all.